Ousmane Dembélé is back in action. The French winger pulled on a Barça shirt 110 days after his hamstring injury, coming on for the final 18 minutes of the 1-1 draw against Celta Vigo in the first leg of their Copa del Rey last 16 tie. The French international came on after 72 minutes to replace Jose Arnaiz, the man who had put Barça ahead in the tie in the first half, playing as the striker and displaying his mobility at the head of a three pronged attack. Dembélé completed 80% of passes attempted and forced Celta keeper Sergio Álvarez into a good save at one point with a well-placed effort on goal. 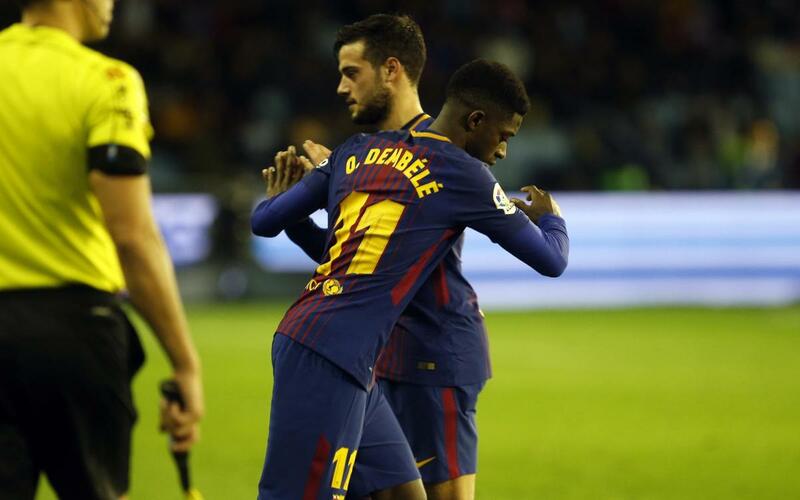 Dembélé was making his comeback after more than three months out following his injury picked up away at Getafe on 16 September. Barça’s first game of 2018 saw him make his fourth appearance as a blaugrana after appearances against Juventus, Espanyol and Getafe in the autumn of last year.